FORMER CORK HURLING goalkeeper Donal óg Cusack says that he is the sportsperson who wrote a letter supporting journalist Tom Humphries. In a statement on Twitter last night, Cusack apologised for any hurt caused. “I absolutely condemn the crimes he has committed. I cannot begin to imagine the terrible suffering of the victim. I apologise for any hurt or offence caused by my action. My intention was to help a human in a dark place who asked me for help. “I showed a lack of judgement in this situation for which I am genuinely sorry. Last weekend, Sunday Times writer David Walsh defended his writing of a similar letter. The court heard how Humphries picked the then 16-year-old up from her school on a Sunday and went to his apartment where he sexually abused her. The first contact between the two was initiated by a text message from Humphries to the victim when she was 14. She did not know how he got her number but she assumed it was through her sports team. Over two years of correspondence between the two followed. The persistence of that contact was described by the State as “essentially daily contact” with Garda Jarlath Burke telling the court gardaí could prove about 16,000 text messages were sent over a three-month period alone. The victim described how the events have made her “physically, emotionally and mentally ill” and caused her to “block out childhood memories” in an effort to also “block out all the abuse”. Humphries, 54, pleaded guilty earlier this year to six offences, dating from 2010 and 2011, including the sexual exploitation and defilement of a child. He will be sentenced on 24 October. Email “'I showed a lack of judgement' - Donal óg Cusack apologises for writing letter supporting Tom Humphries”. 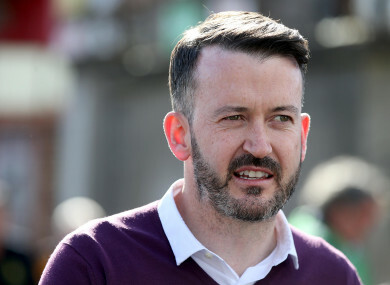 Feedback on “'I showed a lack of judgement' - Donal óg Cusack apologises for writing letter supporting Tom Humphries”.